One-pan catfish "nicoise" is a perfect date night dinner -- with easy clean-up. Let's face it, the phrase "one-pot meal" doesn't always send us running into the kitchen with excitement. These meals are typically reserved for those nights when you're super short on time or just plain don't feel like expending a lot of effort in the kitchen (read: Monday through Friday). But that doesn't need to be the case. When you pull this one out your guests are going to wonder what they did to deserve being treated so well. 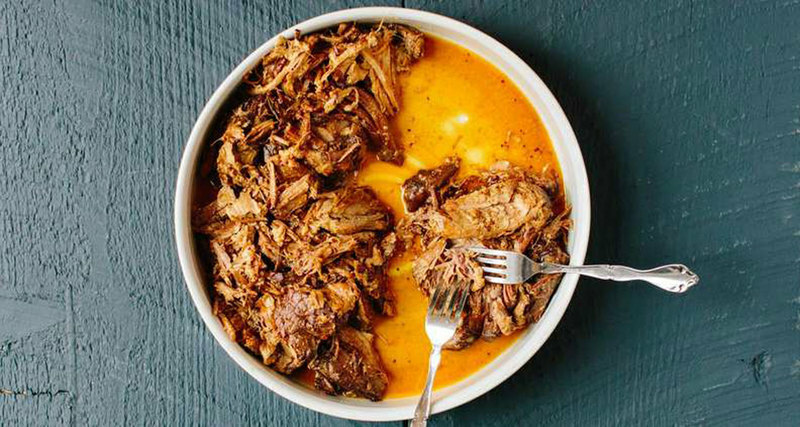 For this short cut barbecue pork shoulder, all you need to do is season the meat liberally with salt, pepper, whole-grain mustard and light brown sugar. After 90 minutes in an Instant Pot (or any other pressure cooker, for that matter) with a bottle of beer, you're left with perfectly seasoned and insanely tender pork. For guests, you can serve this meat with a bottle of your favorite barbecue sauce and fresh burger buns. Talk about a hostess with the mostest. 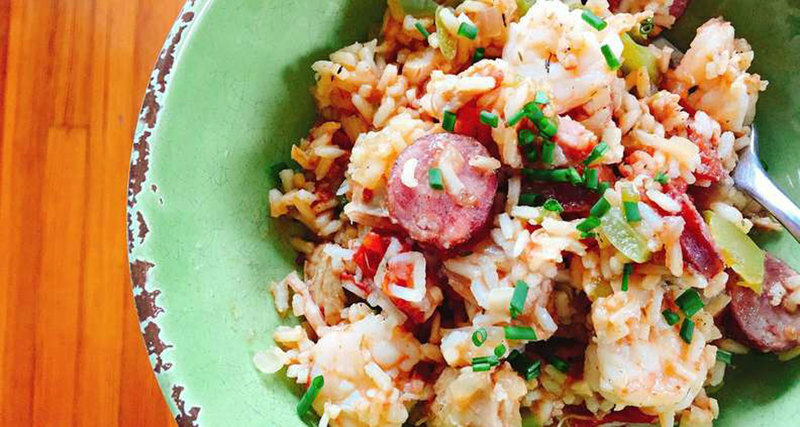 This recipe does the Crescent City right. Andouille sausage, the Holy Trinity, shrimp and chicken? What more could your guests possibly want? The best part is that all of these ingredients are not only incredibly easy to find in a grocery store, but they're also inexpensive, which means you can feed your greedy guests well without taking a hit to your pockets. Oh, and this diner is ready in under 40 minutes. Score! 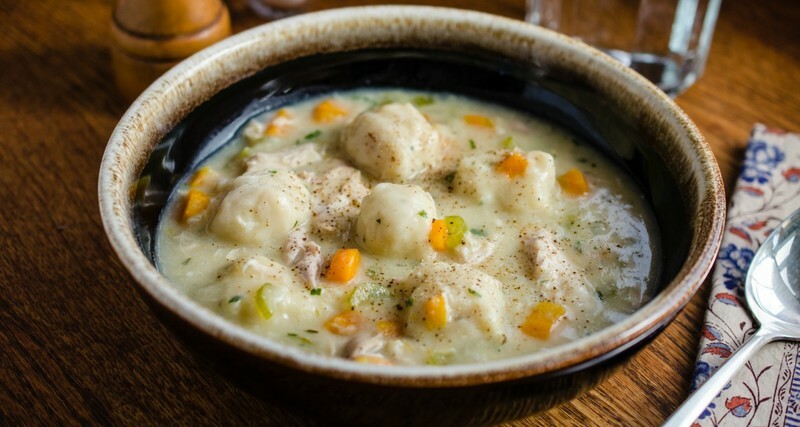 Chicken and dumplings is just one of those comfort food dishes you have to make at least once a year. It also has the benefit of being so hearty you could feed half of your neighbors with just one pot. While this recipe does ask you to make your own dumplings, they're super easy, and it lets you take a few other shortcuts (read: rotisserie chicken and store-bought broth) to save you time. 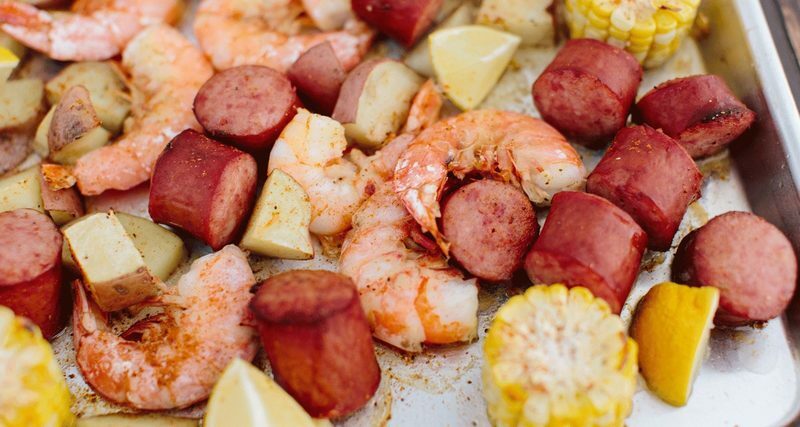 Who needs a large stockpot, propane burner or a big group of people when you can capture all the flavors of a Low Country boil on a single sheet pan? Make sure to partially roast the potatoes before adding the remaining ingredients so everything is properly cooked at the end. Otherwise, you’d end up with rubbery shrimp and undercooked potatoes. If you didn't think there would be a dessert in this round-up, you're sadly mistaken. 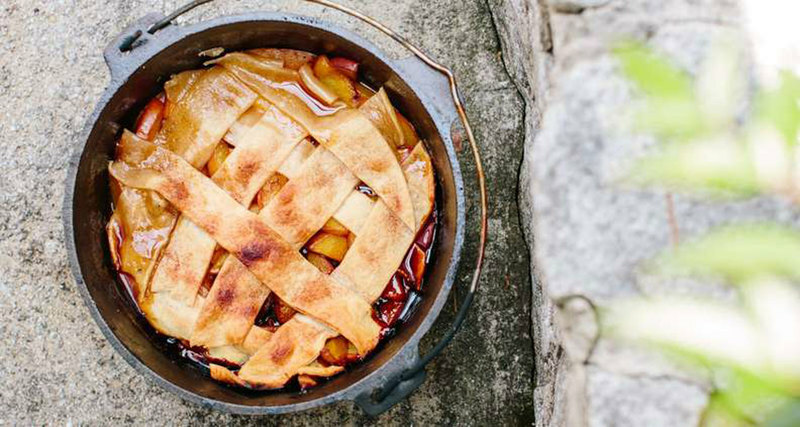 With the temperatures finally cooling off, this is the perfect time to make our campfire peach cobbler. This recipe is essentially a traditional peach cobbler but made over the smoky flames of an outdoor fire. Try making this the next time you gather the group for a camping trip. And if you can't find acceptable peaches? This recipe will work just fine with peeled and sliced apples. It may be a special occasion, but that doesn't mean you should overlook one-pot meal options. After all, when you decide to cook a delicious dinner for your significant other, you don't want to spend the rest of the evening fighting over whose turn it is to bust the suds. 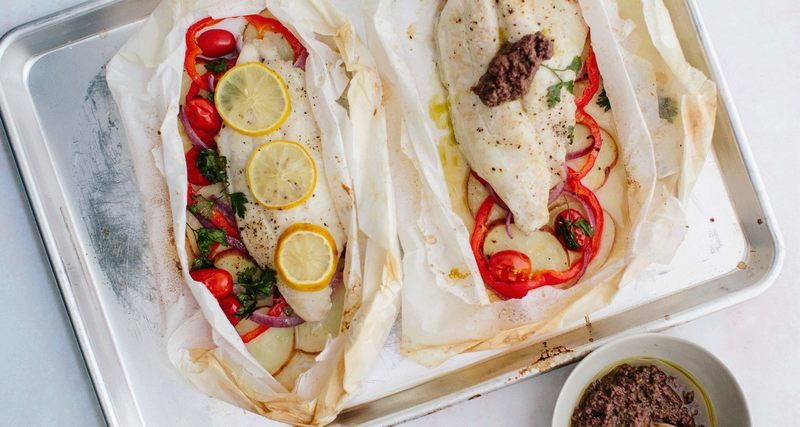 Cooking meals in a parchment paper pouch (or aluminum foil if origami isn’t your thing) is great for convenience, and it also allows all the flavors inside to come together as they gently cook. Here, we've transformed the Southern catfish into a warm nicoise-style dinner, complete with roasted potatoes, vegetables and olive tapenade. Talk about a "wow" factor. These juicy pork chops are brined in a mixture of water, brown, sugar and salt, which helps lock in their moisture and prevent them from drying out. 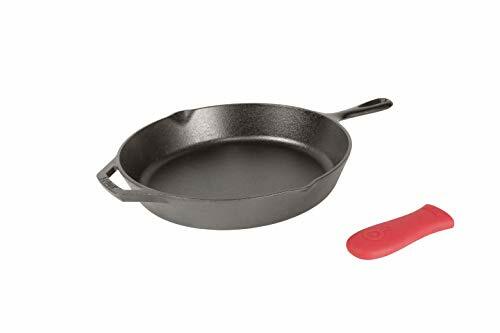 The vegetables are sauteed in the rendered pork fat, and after a few moments on the stove top, everything gets popped in the oven for about 10 minutes. Dinner is served. There is nothing quite like a hot bowl of chicken noodle soup. The very name brings up memories of comforting days past during your childhood. Think of this soup as an sophisticated version of a beloved classic. 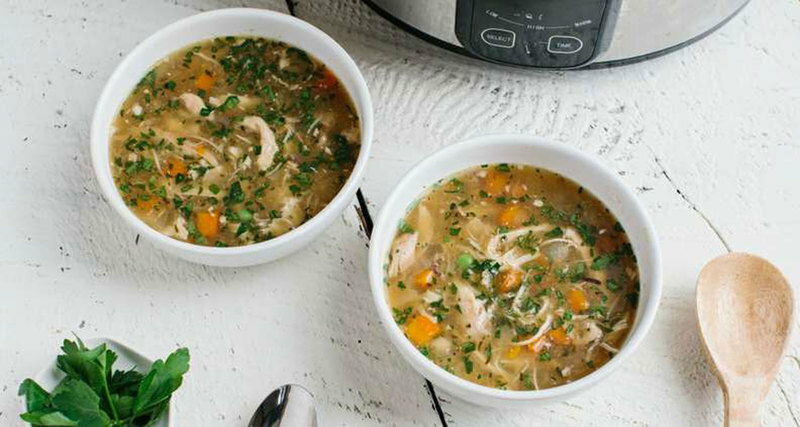 Fresh herbs, roasted chicken and white wine make this soup one you'll proudly serve to the one you love. Another perk? Leftovers. Many of us grew up eating the convenient packaged meat and poultry breading known as Shake ‘n Bake. Making the mixture yourself allows you to customize the flavors to your preference, rather than just taking what you get out of the package. 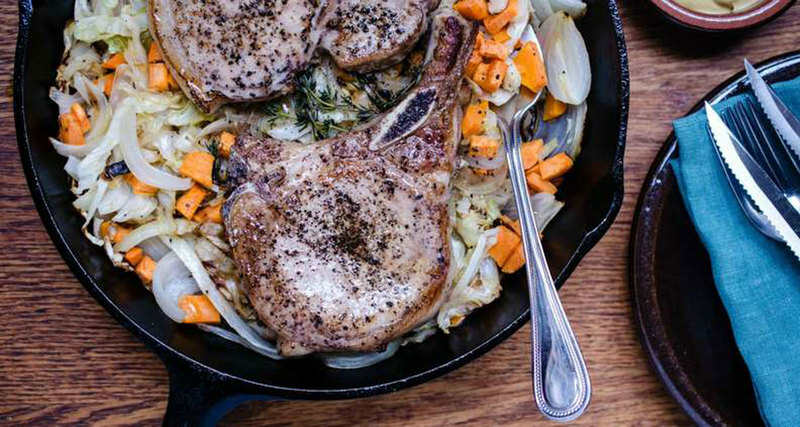 Pop those pork chops on a sheet pan with a mess of vegetables and you've got an easy meal. Think of this as a fancy version of a beef stew. 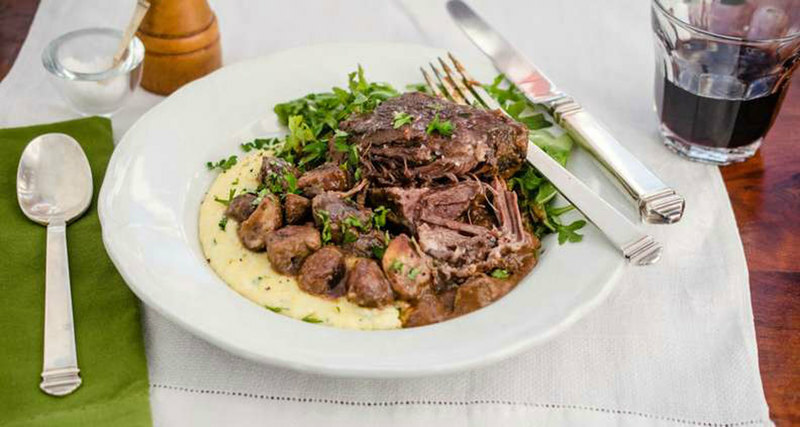 When preparing this recipe, the short ribs are first browned to render the excess fat and build a strong foundation for the dish. Then, the short ribs are gently braised in a combination of wine resulting in tender, but super flavorful meat. For a truly one-pot meal, skip the grits and serve this dish with the best crusty bread you can get your hands on. What else is going to sop up all that good juice from your meal? That's right, you can make bread in one pot. 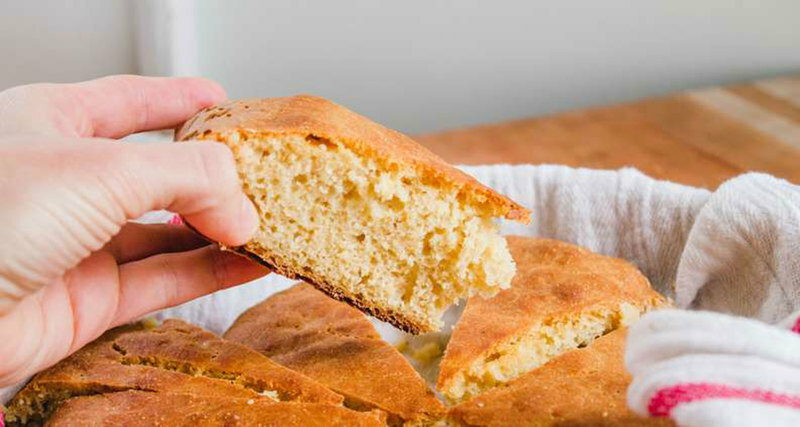 This take on an Irish classic is made more Southern with the inclusion of corn meal. Try making it today — it's easier (and far quicker) than you think. 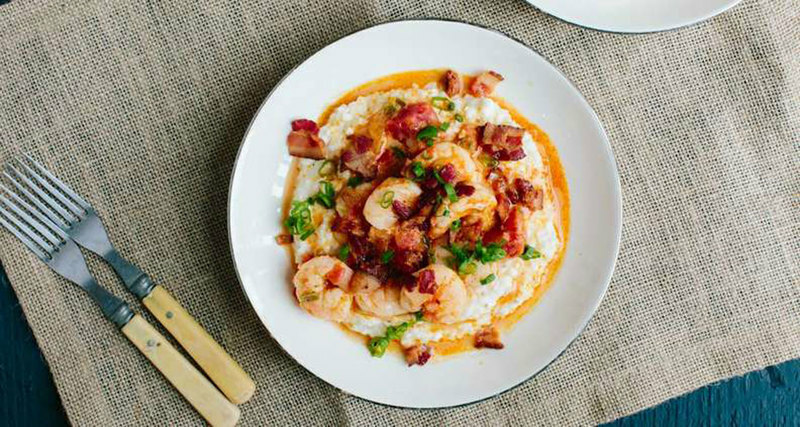 Southerners take a lot of pride in their shrimp and grits. Everyone has their own way of doing it, but in the end what you'll want to achieve is creamy grits and flavor-packed, perfectly cooked shrimp. 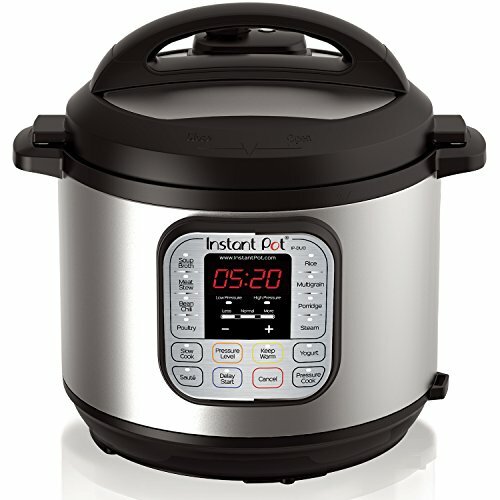 Who knew you could get all of that done in an Instant Pot in a quarter of the time? 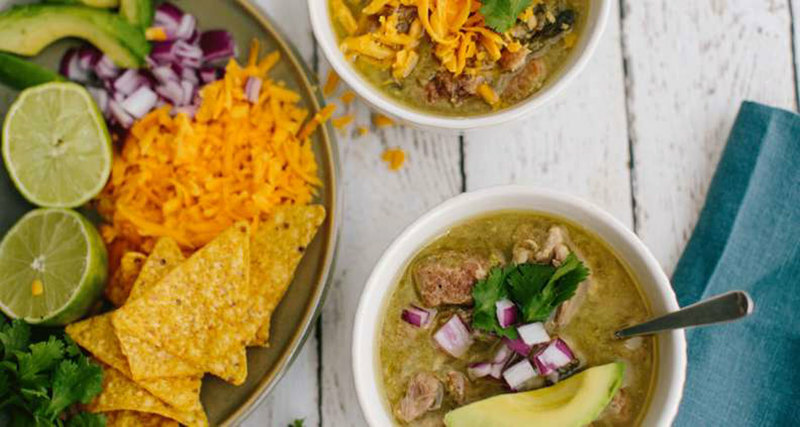 Should you ever find yourself tired of traditional chili you might consider giving this pork-filled green stew a try. This recipe packs a lot of flavor and doesn't shy away from a little heat, either. The onion, cilantro and cheese only help to further transform this dish into a must-have dinner table staple. 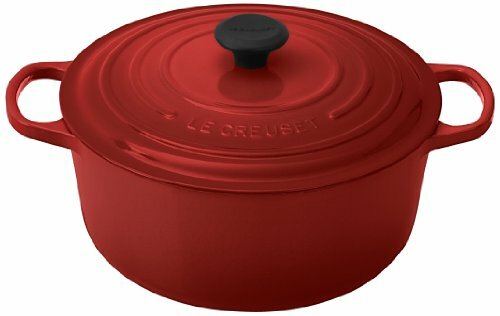 We had to include this classic one-pot dish. 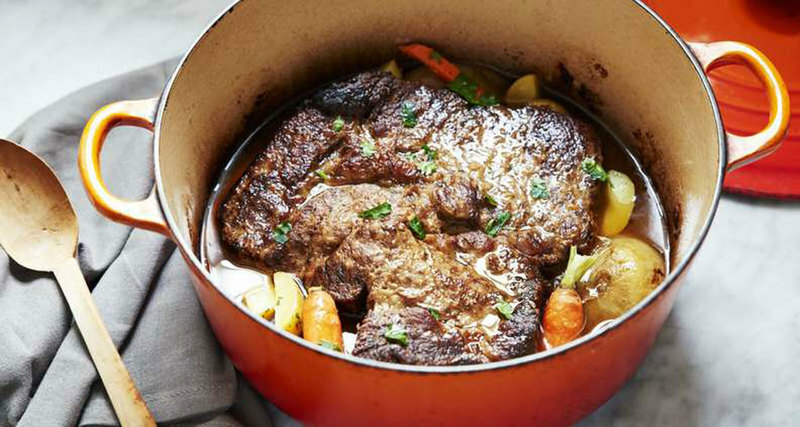 Pot roast was made for a heavy bottomed pot and the warmth of an oven. In addition to being beautiful, this dish by Anne Bryn couldn't be easier to prepare. Not going to lie to you, this isn't a quick weekday meal; however, the work is so worth it. 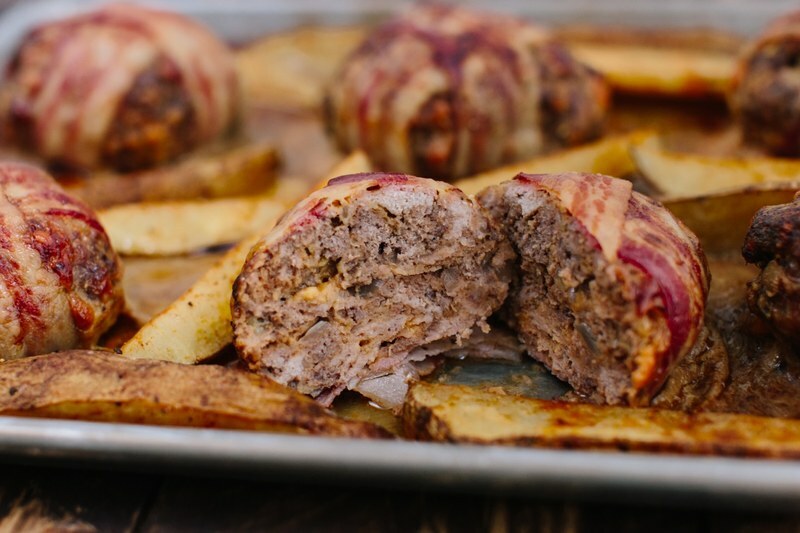 If a Western cheeseburger and traditional meatloaf made a delicious hybrid, it would look something like this recipe. Instead of adding flavorings like ketchup, mustard and Worcestershire sauce, barbecue sauce is acting not only as our catch-all flavoring, but also as our finishing sauce. Cheddar cheese helps keep the meatloaf moist while adding its own distinct flavors to the party. 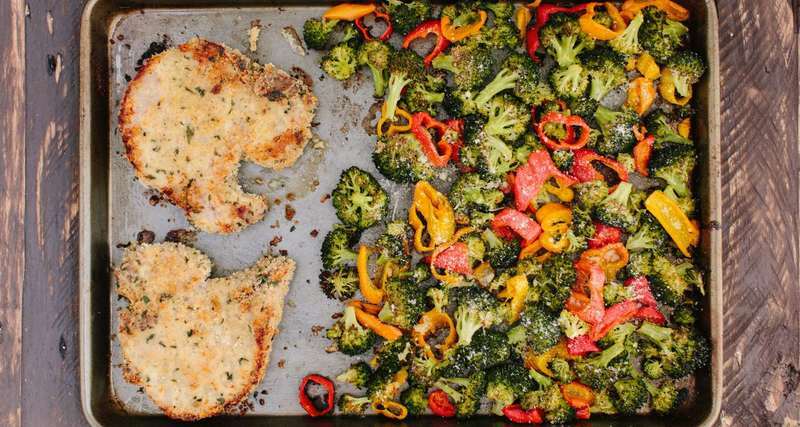 Add a pile of potato wedges to the sheet pan and you've got yourself a classic American dinner in a flash.